Helvellyn or Scafell Pike? Two mighty mountains in the beautiful Lake District National Park but if you only have time to pick one which one do you choose to hike? 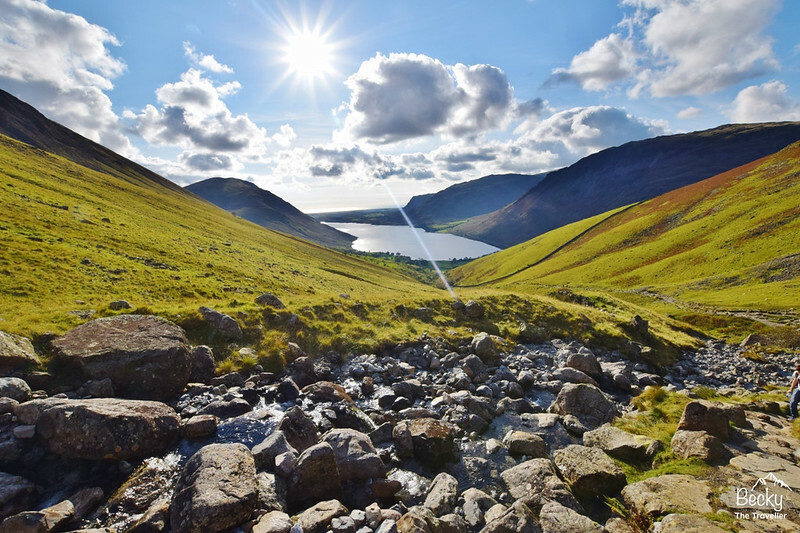 Both Helvellyn and Scafell Pike mountains are accessible for a day hike in the Lake District and their stunning views mean they are very popular walks. I’ve walked up both mountains recently, Scafell Pike on my UK National Park Challenge and Helvellyn walk in the summer (as well as back in 2012). 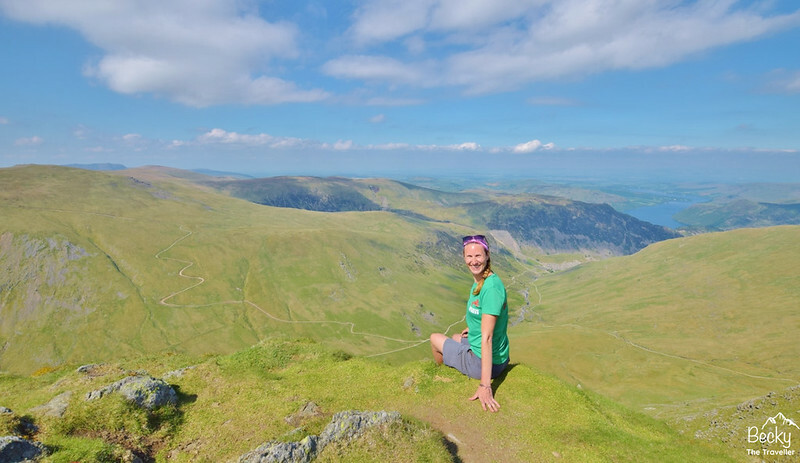 Both hikes to the summits are equally awesome but to help you make your decision here’s my lowdown on facts, figures and fun for these two Lake District beauties! Here you can decide which walk is best for you, I will tell you whether Scafell Pike or Helvellyn walk is harder. 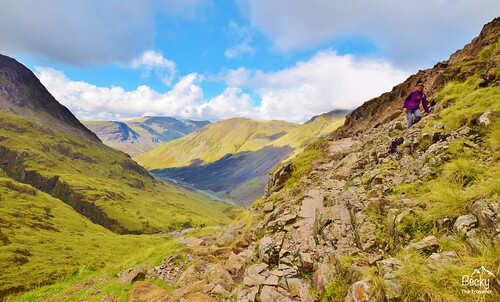 Plus which routes you can take up to the summit of Helvellyn and Scafell Pike for amazing views of the Lake District. 1.1 Where are the Mountains Located in the UK? 1.2 Which OS maps do you need? 1.3 Which Mountain is the Highest Helvellyn or Scafell Pike? 1.4 The official Public Vote – Which Mountain is Best? 2 How Many Routes Are There Up Each Mountain? 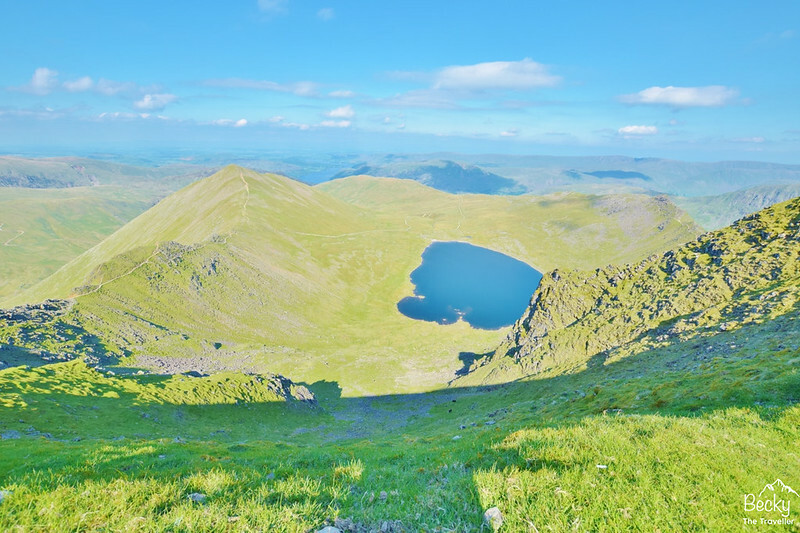 2.3 Which hike is more difficult – Scafell Pike or Helvellyn? Where are the mountains located? Which mountain is the highest Helvellyn or Scafell Pike? The official public vote – which mountain is best? How many routes are there up? 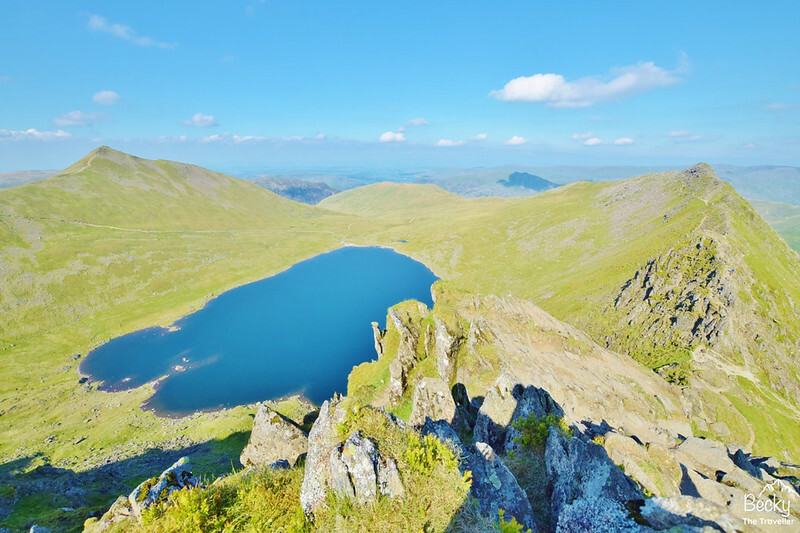 Which hike is more difficult – Helvellyn or Scafell Pike? Where are the Mountains Located in the UK? Let’s start with the location of these two mountains. Both Helvellyn and Scafell Pike are located in the gorgeous Lake District National Park in the northwest of England in Cumbria. Scafell Pike is located in the southwestern area of the Lake District, at grid reference OS Grid Ref: NY 21545 07216. The closest towns are Borrowdale north of Scafell Pike where you can start one of the walks from and Ravenglass towards the southwest of the Lake District. How close are Scafell Pike and Helvellyn? The distance between Scafell Pike and Helvellyn is between 22-25 km so would make a pretty epic day hike between the two. Plus adding the distance up and down each one and you’d be clocking some serious mileage! If you want to climb both mountains in a weekend then I’d recommend a central location, maybe Seatoller or Rosthwaite. Both of these locations have YHA’s which makes for some bargain accommodation. You can read about my stay at YHA Borrowdale in the camping pods at Rosthwaite here. If you are staying longer there are also some amazing walks from YHA Borrowdale, these are the walks I did during my 4-day Lake District trip. Which OS maps do you need? You can also use Ordnance Survey online to plot and save your routes. I use the paid for version which costs £23.99 for the year. Feel free to ask me any questions about. For those of you that didn’t know Scafell Pike is the highest mountain in England. A towering 978 m/ 3,281 ft it also makes up the ultimate UK hiking challenge, the National Three Peaks. Hiking Ben Nevis, Scafell Pike and Snowdon in 24 hours! How high is Helvellyn? But Helvellyn mountain is not far behind at 950 m/ 3,117 ft which makes it the third highest mountain in England. Of course, height comes with awesome views of the Lake District and on a clear day, you’re treated to 360-degree views for miles. On bad weather days, a Handheld Wind Meter would be a handy gadget to take with you. In 2018, the British public voted on their top 100 best hikes in the UK. It was an epic list with some gorgeous walks all around the UK, showcasing the best places to go hiking. Both mountains finished in the top 10 of epic walks, but which one came top? Drum roll please…. in fifth place was Scafell Pike and the top spot for the best hike in the UK went to Helvellyn and hiking along Striding Edge. So there you have it, from the public. Which is best, Scafell or Helvellyn? Helvellyn wins!!! How Many Routes Are There Up Each Mountain? Helvellyn has several different routes up to Helvellyn summit. The most popular (and more challenging) options are from Glenridding and Patterdale on the east and Wythburn and Thirlmere to the west. Starting from Glenridding car park you have three routes, one that takes you up via Swirral Edge, one over the famous Striding Edge (or you can do both as a circular route) and there’s the longer Pony Pass. Patterdale is a few miles down the road and takes you up the longest route. On the west side of Helvellyn, there are the two shortest routes up to the summit, from Wythburn or Thirlmere. Walking up Scafell Pike has three main routes – Corridor route, Hollowstones route or Mickledore route. Wasdale Head, (parking at NY 182 075) there are two options, via the Corridor route or the Hollowstones route. I opted for ascending up the Corridor route and then back down via Hollowstones. A circular route, that although makes the hike a little longer but gives you more variety on your walk. Borrowdale, which is further north of Scafell Pike, park at Seathwaite (parking at NY 236 123) and go up via the Corridor route. I opted for a circular route up to Scafell Pike summit, from Wasdale Head, via the Corridor route and back on the Hollowstones path. 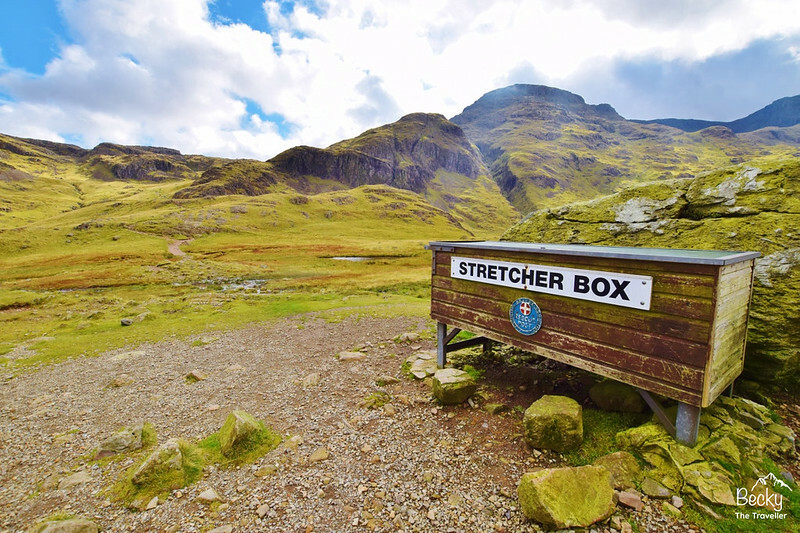 Where to stay to do Scafell Pike? Eskdale Campsite – I stayed at nearby Boot at Eskdale campsite, which is 12 miles/ 40 minutes drive from Wasdale Head. You can read my review here of the camping pods that I stayed in at the campsite. YHA Borrowdale – Alternatively, on a separate trip, I tried out the camping pods at YHA Borrowdale. 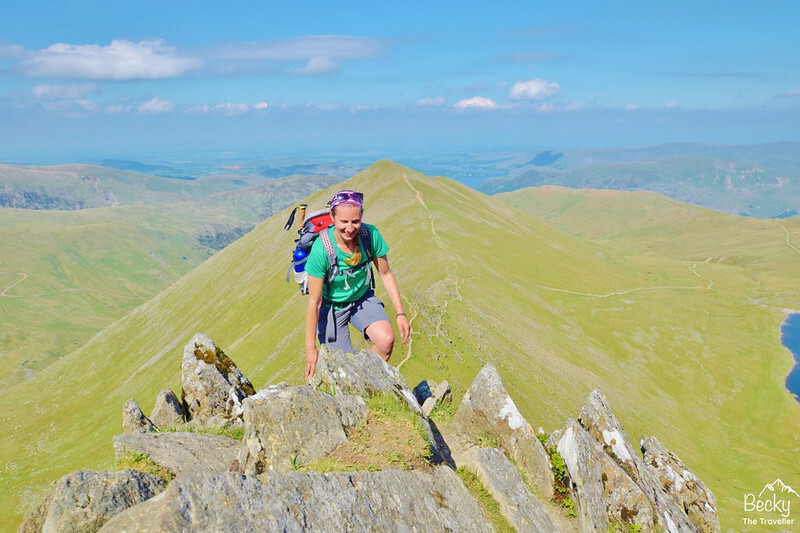 Which hike is more difficult – Scafell Pike or Helvellyn? There are many routes for hiking both mountains, some more challenging and some easier and therefore more popular especially at weekends. Both have easier and more difficult routes so even if you’re a novice hiker then you can still take on these amazing hikes. If I were to pick the hardest route up out of the two mountains it would easily be hiking along Striding Edge up (or down) from Helvellyn. This jagged edge takes both skill and nerve to safely navigate across this route. Sadly, there have been accidents and even deaths along this section so take it slow and steady. Plus if you’re not confident then drop down to the lower path on the left (as you are hiking down from the summit). Top tip – check the weather before your hike. In strong winds, it’s better to take an alternative route down Helvellyn. A challenge that includes both Helvellyn and Scafell Pike is completing the Wainwrights. 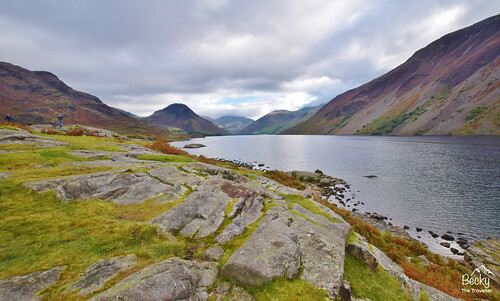 These are 214 fells in the Lake District which are described in Alfred Wainwright’s books. Many people strive to complete these hikes over a number of years, although some hikers hike them quicker. Back in 2012, I completed the challenging long distance hike, from St Bees on the west coast of the UK to Robin’s Hood Bay, known as the Coast to Coast trail. It’s 192 miles/ 309 km across three of the UK’s beautiful National Parks. The first national park is the Lake District and on day 3 or 4 of your hike, you’ll encounter the mighty Helvellyn and Striding Edge. You do have the option to do a detour and miss Helvellyn but I’d highly recommend including it in your hike, it’s an awesome experience. 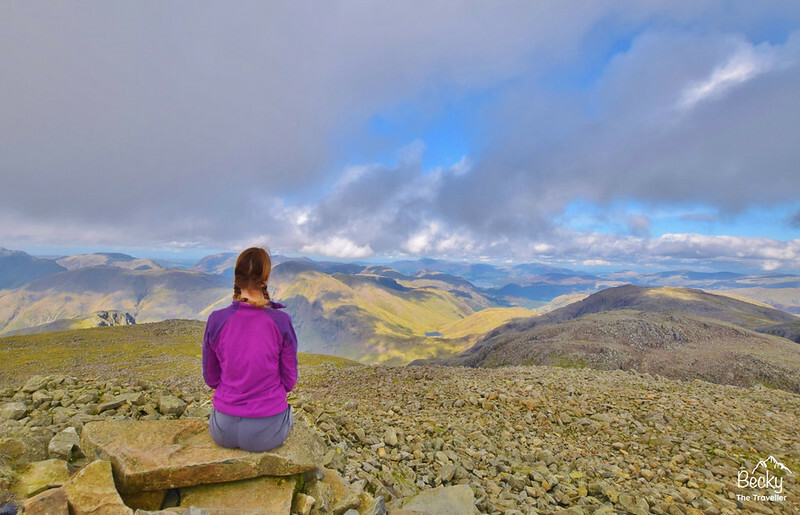 Being the highest mountain in England, Scafell Pike makes up the awesome UK National Challenge, hiking the three highest summits in the UK in 24 hours. Starting with Ben Nevis in Scotland, next is Scafell Pike and finally Snowdon summit in Wales.